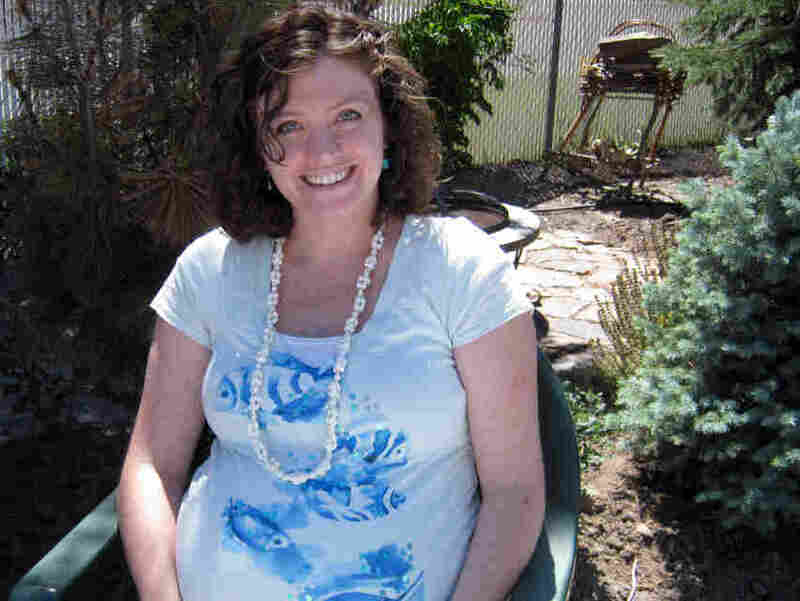 A Plan For Natural Birth: Hold The Drugs, Please : The Baby Project Lucy Peck describes her plan for a drug-free delivery in the hospital with the help of her husband Aaron. Lucy Peck is seen this past weekend at an aquarium-themed baby shower hosted by her mom, aunt and sister-in-law. 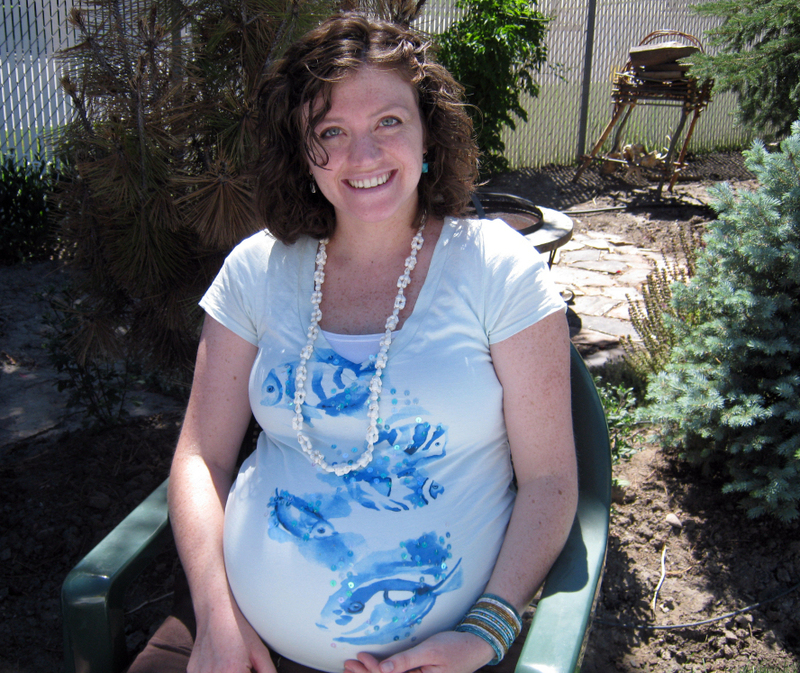 Lucy is planning a drug-free birth at a hospital with the support of her husband and sister. Three weeks and counting to our due date! For some reason, though, I feel like we will be parents sooner than July 31. Wishful thinking or intuition, no idea. But I think this means I had better get serious about preparing our birth plan. Or at least pack a bag to take to the hospital. I've tried to keep it open and flexible, with just a few things set in stone. For instance, unless my life or the baby's depends on it, I do not want any pitocin. I want my labor and contractions to progress naturally. Also, I don't want to be tied down to the bed by monitors any sooner than I have to. I want the freedom to move around. Everything else, I've tried to keep flexible since I've heard that it doesn't always go the way you've planned. I don't want to be worried that "The Plan" isn't going the way it should. Labor at home as long as possible using HypnoBirthing and other techniques. Call family when we are sure it is real labor — I want to keep from sharing the false alarms too much. Head to the hospital when contractions are 3-5 minutes apart — we're only about 10 minutes away. Get our support group in place — Aaron, my sister, mother, mother-in-law and sister-in-law — sorry grandpas, you get to wait outside. No pitocin/epidural offers of mercy please. No monitors unless absolutely necessary. I don't want the monitor to tell me when I'm having a contraction. I'm pretty sure I'll be able to figure it out. I'd like to create a little ambiance, too, to keep things calm and level. So, music, but I also think I'd like to be prepared to keep the mood light, so I might just bring along a favorite show that I know will make me laugh. Wouldn't it be great to be born into the world in a room full of laughter and happiness? I hope I can create that kind of environment when the day comes. Other than these few things, the only other must for me is to have the first few hours with our baby alone. No visitors other than medical staff until I'm moved to Recovery. Those are precious minutes that we will never get back. I want to really experience them together — just me, Aaron and our son. Everyone else can wait an hour or two. Lucy Peck, 27, of Logan, Utah, became a first-time mom on July 29, when she and her husband, Aaron, welcomed Dexter Aaron Peck into their lives. I want a natural, drug-free birth. I want to be an active participant in my labor. I want to know when he's coming, feel for myself the urge to push, and be aware of when my son has finally entered the world. I'm excited about labor. I'm looking forward to it, and I can't tell if that's because I really am excited about it or I just want something, anything, to happen at this point. Either way, I'm not scared. I have the confidence of millions of women doing this before me to back me up. Pain fades, so does its memory. This pain won't kill me. That's not to say that I haven't been practicing techniques that are supposed to provide a pain-free birth. I don't expect them to do that, I just hope that when I use them, it will help me to make the pain more tolerable. My favorite so far is HypnoBirthing using the Mongan method. I love the focus on relaxation and allowing your body to do what it needs to do to birth the baby. All of the books I've read so far have emphasized the importance of trusting your body to do what it was made to do. I've had a textbook pregnancy up to this point, I'm not at high risk for anything, and my blood pressure and blood sugar have remained in the normal bounds this whole time. I feel confident about labor and delivery without drugs because we've been so normal. But, I also realize the importance of drugs in some situations. If it comes to any of those situations in labor, or my life or the baby's is in danger, I will weigh my options and seriously consider using the drugs to keep us safe. Time is passing. I better go pack that hospital bag. I'm sure I'll pack and repack it a dozen times before the little dude makes a move. Lucy was initially thinking of using a certified doula for her birth, but has since decided to have her sister act as a birth companion. Lucy says she wants to take some of the pressure off her husband, Aaron, during the birth by having another personal supporter in the room. Her sister lives in Denver and will drive to Utah a few days before Lucy's due date.